The Man Booker Prize is the leading literary award in the English-speaking world. Promoting the finest in fiction by rewarding the very best book of the year. It has the power to transform the fortunes of authors and publishers. 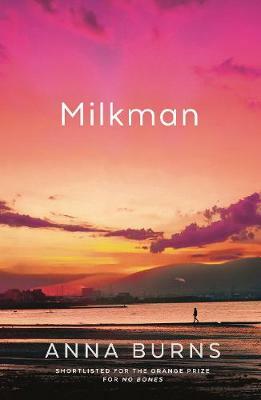 Belfast-Born Anna Burns has been awarded the Man Booker Prize 2018 with her fourth book 'Milkman'. The Chair of Judges Kwame Anthony Appiah said: "Anna Burns’ utterly distinctive voice challenges conventional thinking and form in surprising and immersive prose." The winner of the 2018 prize will be announced on Tuesday the 16th October. To see last year's shortlist and winner click here. The Man Booker Prize was first awarded in 1969 and 2017 marks its 49th year. Hilary Mantel made history in 2012 when she won the prize for the second time with Bring up the Bodies, as the first woman and the first British author to win the prize twice. A full history of the prize, including an interactive timeline, can be found on the Man Booker Prize website – www.themanbookerprize.com.